What Happens When You Eat Excessive Bananas? Carefully planning your every meal is one of the ways with which you can obtain an effective weight-loss campaign. You may have to ditch out certain food like junkies, burgers, soft drinks, and more, but do you have to take bananas out as well? The quick answer: No, bananas are not in general the culprit behind undesired weight gain. On the contrary, bananas are a natural source of many nutrients. It is also a low-calorie food that can easily be inserted in your weight program. This article explains in detail how you can eat bananas properly to avoid gaining weight. Plainly speaking bananas do not make you fat as they have no fat in them (if you do not eat bananas excessively). They do, however, have a high sugar content—which is good news. This sugar is broken down to glucose, which you need in all motion that you do every day. Athletes, weight trainers, nutritionists and other healthy-living buffs hail bananas as wonder fruits. It is very important for you to know that if you don’t use up the energy, the excess glucose will store in your body and converts into fat. So though normally speaking, bananas don’t make you fat, exceeding the limit could make you gain weight. Bananas are versatile, packed with energy and goodness, and excellent for digestion. They are perfect as a quick snack or a healthy dessert, whether alone or taken with other fruits and other healthy food. Bananas have around 110 to 150 calories with 19 to 30 carbohydrates in an average banana. Most of the calories come from the carbohydrates, which are either simple sugars or starch. A medium banana has around 110 calories, 25 grams of carbohydrates, 50 milligrams of potassium, 3 grams of dietary fibers, 1 gram protein, and 15 percent of the daily value of Vitamin C. Bananas don't contain any sodium, fat, or cholesterol. Because bananas are rich in Vitamins A and C, they are also a great anti-wrinkle food. Moreover, vegans rely on bananas as a source of important vitamins like iron and the B vitamins. However, as a banana contains little protein, it cannot be used as a substitute for protein-rich food. Did you know that bananas can also enhance your mood? Bananas contain tryptophan that triggers a happy feeling whenever to winter blues or morning moodiness. For instance, you can perk up your breakfast or snack yoghurt, smoothies or oats with bananas to for an instant happy boost. How Can You Eat Bananas for Best Results? Bananas are an excellent pre-gym snack as it condenses carbohydrates and sugars, which are essential in any workout. Moreover, the energy and nutrients packed in each banana makes for a perfect snack for any fitness enthusiast and serious athlete. Bananas are also perfect accompaniments to your breakfast, lunch or dinner. You can eat bananas for breakfast when paired with oats, milk, eggs and almonds. Bananas are great with milk that is skimmed in a yoghurt or milkshake. Bananas are among the top foods and staples to eat for breakfast. You can slice it up and add it to your bowl of cereals or oats, or add it to your pancake batter before cooking. Bananas will also add a natural sweetness to your breakfast. However, you should be careful in eating only bananas for breakfast, as they are lacking in other nutrients, such as protein, to get your day started. While bananas are considered as a super food by some, you may end up with stomach problems if you eat them unripe and green. Other people have been reported to feel stomachache and other gastric upsets. In addition, there are almost no antioxidants in unripe bananas. Studies also show that unripe bananas may lead to constipation. Moreover, unripe bananas are less delicious and bitter than ripe bananas. To make sure that you get the most out of bananas, always make sure to eat them ripe. 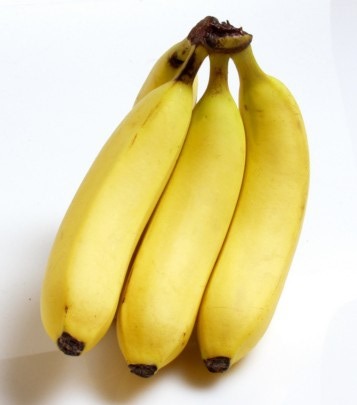 Bananas are at their best when ripe, yellow and with the peel intact. How Many Bananas Should You Eat Each Day? As with everything else, bananas should be eaten in moderation. The number of bananas that a person can eat in a day to stay healthy generally varies from person to person. While some can tolerate higher amounts of vitamins and minerals, others need and can carry on with less. Most health experts recommend only one to two bananas per day, and consider an intake of four per day as excessive. This recommendation is not only to counter the risk of overeating bananas, but also on the recommended daily dose of fruits. The average person should only get about one and a half cups to two cups of fruit each day. This is approximately two to three servings, which can be easily distributed into one serving for breakfast, lunch and dinner, or eaten sporadically at any time of the day for an instant boost. Nutritionists and dietary experts also recommend that you should eat an assortment of fruits, and not to stick to just one or two varieties. A single banana served with one or two other fruits would be the best option for your health as it could provide the best benefits.